While looking for a good TV on a tight budget is not as easy as it may seem. The TVs on this list make your work much easier. You may want a 19-inch TV for various reasons like in the case of very limited spaces. You do not have to buy a TV that will go bust in just a few years or even months. 19-Inch TVs are very portable and may come in handy if, you are used to moving a lot. We are aware major TV manufacturers have abandoned ship in 19-inch innovation, but from time to time, we do get lucky in getting the best features in this isolated market. That being said we have considered all factors relevant and looked at the upcoming trends so as not to make your TV obsolete any time soon. As a bare minimum, the TVs in this review have at least 720p resolution. We feel getting a 1080p, resolution on 19-inch screen size is not that essential, but who are we to judge. Therefore, one of the TVs here does give you the highest resolution possible on a 19-inch screen. 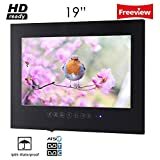 How to choose 19 inch TVs? Why you need 19 inch TVs? Starting our review is Sceptre’s E195BV SHD. A cool shiny finish gives it a premium look adding to its beauty. Setting up the TV is very easy because it only weighs 4.84 pounds. You can wall mount the TV to a wall with minimum effort or strain to the wall. With a refresh rate of 60 frames per second, lagging is not experienced in what you watch. The speakers on this small TV are exceptionally loud for such a small TV. The TV comes with a single HDMI port. 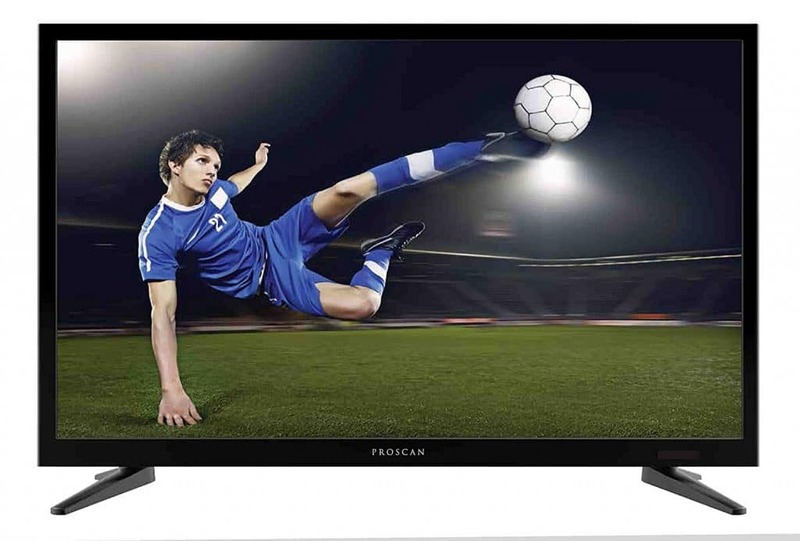 Proscan offers you the best prices possible on any version of their TVs when you compare to other manufacturers. 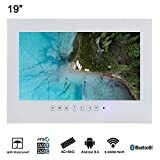 You may say cheap is expensive but not in this case, the TV comes with all standard features required to be on this list. The video quality is okay, the sound works just fine and contains all standard inputs, which include HDMI. You get all these for the lowest price possible. Contains a headphone output jack. You can use this for your external speakers. 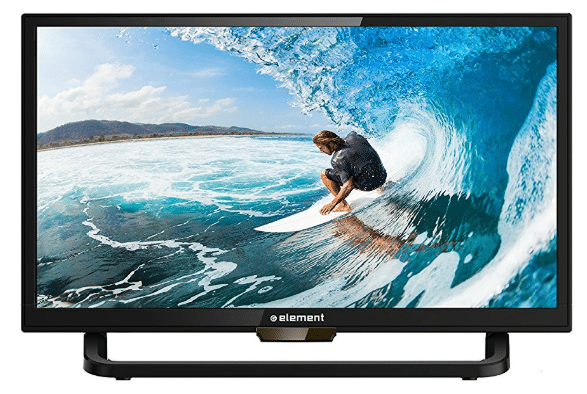 When you look at the Element ELEFW195R TV, it is hard to comprehend that it is refurbished. The TV still looks as good as new. The element has perfected the art of delivering refurbished electronics down the years. 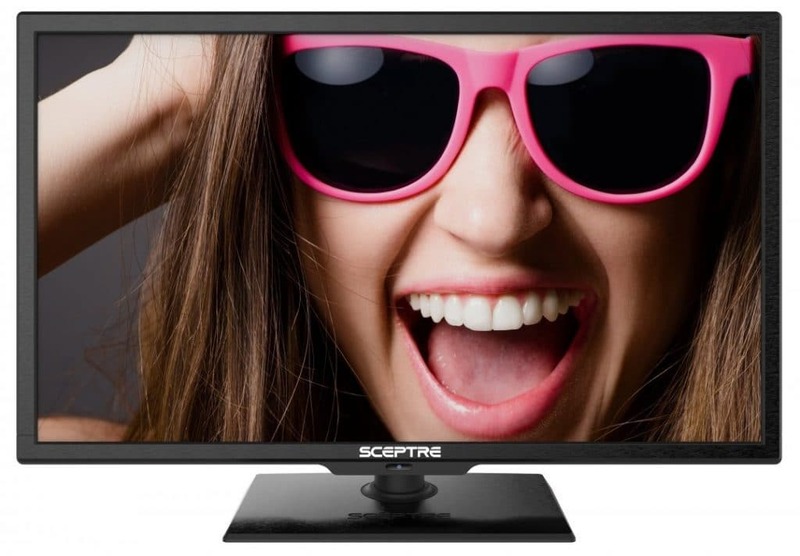 You will get a good quality TV with this one at a knockdown price, even for a 19-Inch TV. The picture quality is vivid, in part thanks to the Built-in 3D Video Noise Reduction feature. Distorted images are refined to enhance your viewing pleasure. It has an audio out. We recommend using your external speakers through the audio out. The sound will be improved in this way. Do not be fearful to get one of these because Element products perform and deliver. 90-day warranty on the product. Free 60-day technical support available on call. 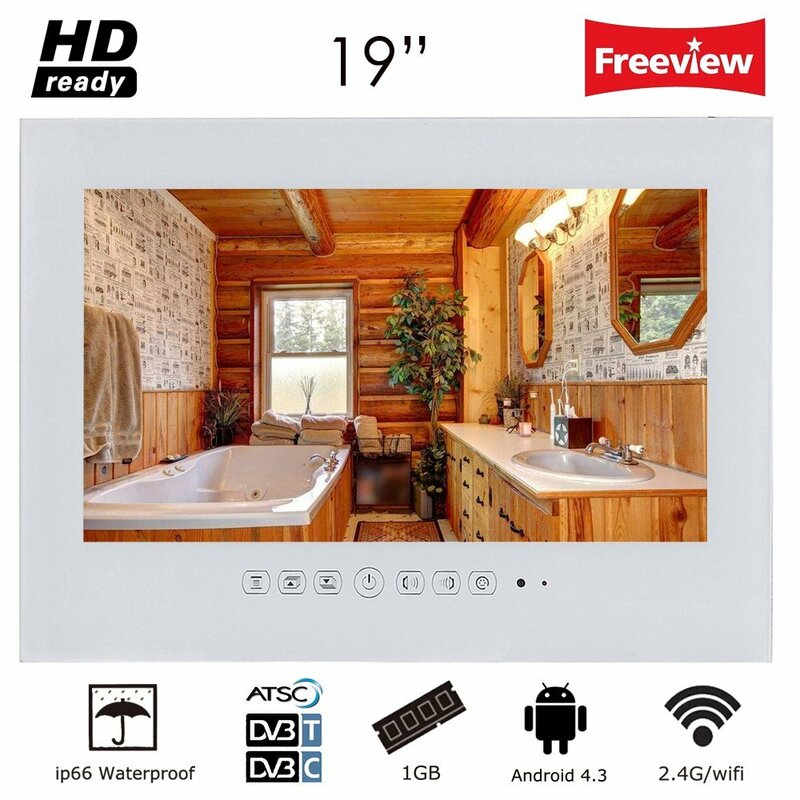 The Soluca 19-Inch TV T190FA-W2 TV was made and designed for your wet areas such as kitchen and bathroom. With a rating of IP66, your TV is safe from common everyday splashes. An IP 66 rating means the TV is dust tight¸ and water running from a Jet cannot penetrate into the TV. On top of that, this is also a Smart TV. It comes with Android 4.2.2. You can download games and apps from Google play store. The ability to browse the internet gives you access to streaming services such as Netflix and Hulu. The entertainment possibilities are never ending with this TV. Soluca’s T190FA-W2 TV still gives you a good clear picture. 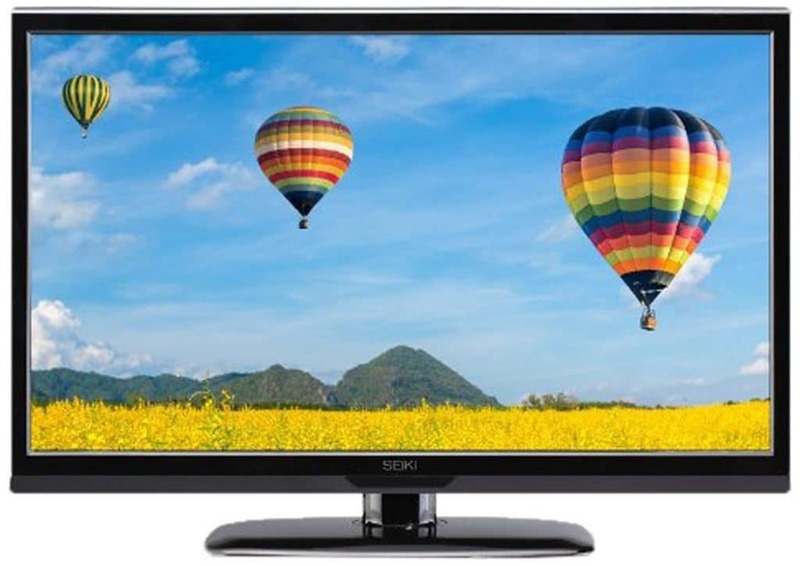 With a resolution of 1440 * 900, it can handle high definition content effortlessly. A contrast ratio of 800:1 gives you a wide variation in brightness. A waterproof remote control with a rating of ip68 means you can put it in water even. One of RCA’s major selling point is its wide viewing angle. The horizontal view is of 170 degrees, while the vertical is at 160 degrees. This means users in different directions can see the TV very clearly. The design has a very narrow bezel that complements the wide viewing angle properties. The TV is at 720p in resolution, this is good enough for a 19-inch screen. The refresh rate is at 60 Hz this is at par with most of the TVs in this list. At the price range, the RCA is quite a bargain considering all the necessary features are included in this little bundle. Online user manual available for use. Seiki digital is a company that dedicates itself to ensure that their products are always at the top of the game. The company’s goal is to ensure that people of all financial backgrounds get a great TV experience. This is one of the reasons why you will always find that Seiki TVs have fair prices. They have outsourced and are very efficient in their manufacturing process, in order to achieve this. One great thing about them is that you will not end up sacrificing on quality. That is what sets them apart from the competition. You get to save and have a great TV experience. Its digital videos are clear, all thanks to the HDMI technology incorporated in it. With 1080 quality and multi-channel surround sound, you are in for a treat. The TV also comes with a parental control feature. The V-chip technology was used to make this possible and allow you to manage what your children watch. Connecting a cable box, Blu-ray player or any streaming media will be frustration free. You will get a 1-year replacement warranty. One of the riskiest things anyone one could do, is to try using a regular television. The amount of damage the TV would take will leave you in losses. You do not want to waste your money like that. The smarter move would be to get a legitimate proven bathroom TV. It has a waterproof rating of IP66 and comes in a frameless design. 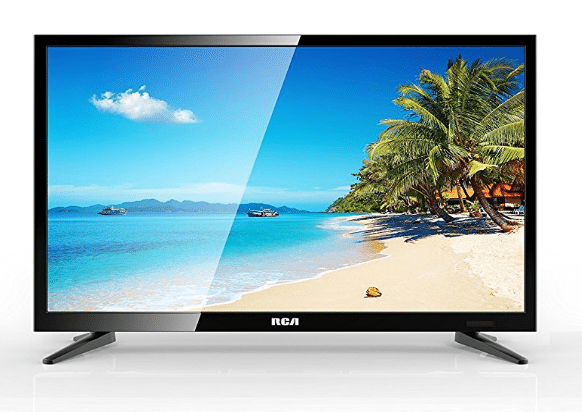 Soulaca is reputable for its high-resolution picture TVs. You do not have to restrict it to the bathroom. This TV does not have any restrictions as to where it can be located. It is the solution to problems not easily solved by other TVs. The unit size is W488 x H368 xD44mm. Do you want to get a bigger view of your Smartphone or tablet pictures? Why not use this Samsung UN19F4000 19-Inch TV? 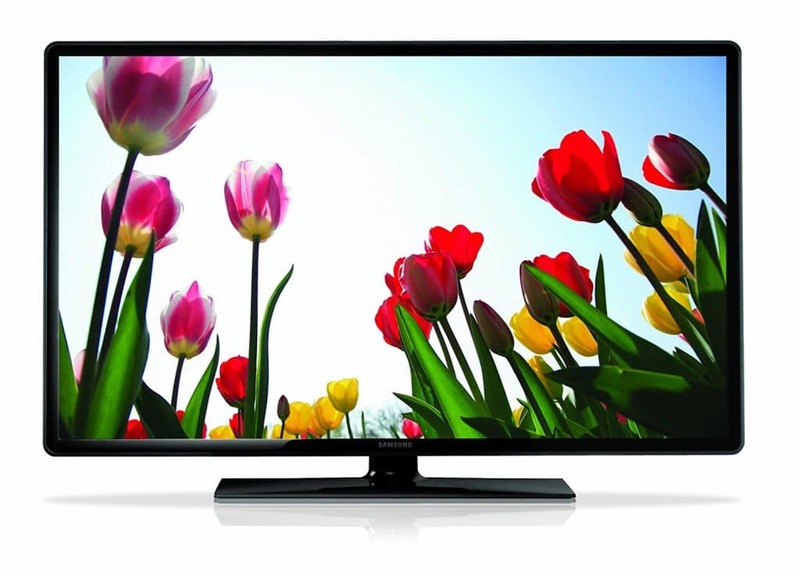 This HDTV is exactly what you need if you are often using different lighting. It is popular and often recommended because it looks great all through. The motion clarity is great at a rate of 120. It was designed to use the frame refresh rate and has an amazing image processor speed. Combined with backlight technology, it is able to measure fast action. This TV has an enhanced RGB spectrum. Its color enhancer is very wide and you will find the experience enriching. With this TV, you will even enjoy watching content that is non-HD and others that are much older. This is necessary if you are into the classics. The available inputs are two HDMI, one USB, one Component, one Composite In, one RF In. Your purchase includes a standard remote control. The first place goes to the Seiki SE19HE01. It is not surprising because the company has proven itself repeatedly. Once you try out their products, you will find yourself always looking for this particular brand. Newer models are considered to be great but do not let that fool you. This 2013 model has outperformed and outlasted many others. The TV’s speakers are built in and have amplifiers. 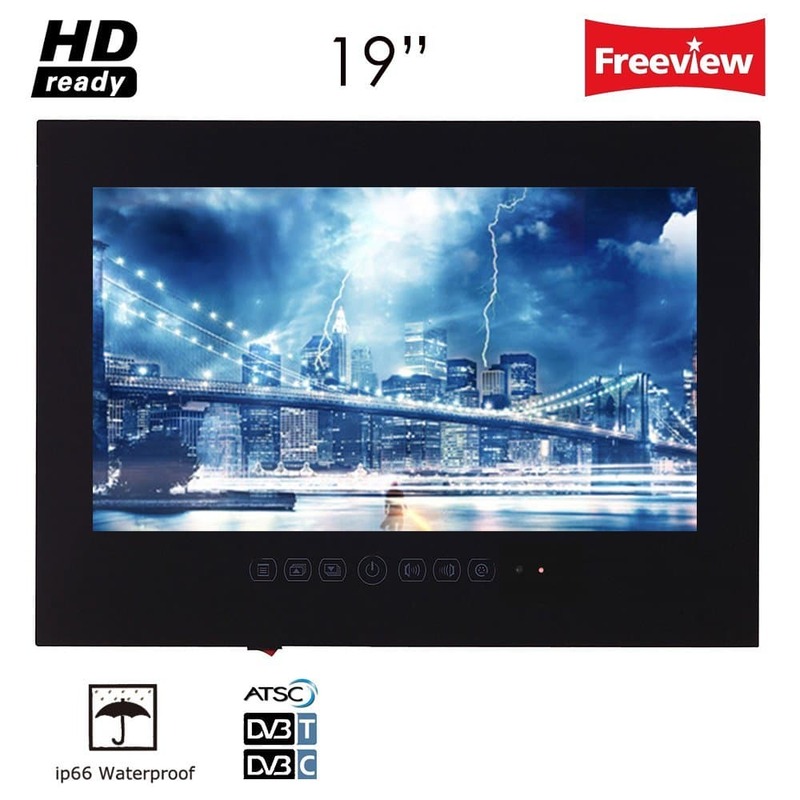 This 19 inch LED TV has a 60Hz refresh rate and has one HDMI, one USB, and one VGA input. Nothing beats a TV, which you can use with HDMI accessory connections and important component connections as well. The on-screen setup and menu will also impress you. The TV measures 17.42” x 12.97” x 5.11” withstand. The measurements without stand are 17.42” x 11.12″ x 2.10′. 19 inch TVs are some of the smallest ones in the world. You may want them to be hung on your wall most of the times. Most people buy the 19-inch TVs for confined spaces in most cases. Say you want a TV for your kitchen, it will look better on your wall instead of your counter. The space of the countertop can then be used for your daily kitchen needs. It is best to go for common household names when buying electrical appliances. Even though major TV manufacturers like Sony are focusing on higher-end TVs, others have taken the mantle. We have considered the level of prestige from the manufacturers on this list, and how long they have been in the game. 19 inch TVs are loved for their small size and easy access. If you want to see your movies from a flash drive, get a TV with USB input capability. If you want to use it as a monitor, look to see it contains a VGA port or with modern computers a HDMI port. That is just it and you can do more research on this if need be. Do not buy a screen to find out it does not meet your requirements. We have highlighted some of the features and inputs in this list. A smart TV lets you browse the internet in one way or the other giving you access to services like Netflix and YouTube. You may want this kind of service on your TV so some of the TV in this list contains this feature. Because of this, the price on the TV is increased significantly with this option. 19 inch TVs are very light. If you are used to moving, you should consider getting one of this. It will not be a struggle to get them from one point to another. As a student, it is common to move from time to time with your computer(s) screen(s). A 19-inch TV that can also be used as a monitor is ideal in such cases. 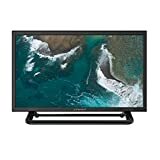 19 inch TVs are very easy to set up and very cheap. If you have limited space in your office and would like a cheap way to entertain a 19 inch TV will suffice. For the price, you can change the look of a place in an instance. 19 inch TVs are cheap nowadays. Therefore, if you still want to view your entertainment in the lowest budget possible, here are the right solutions. They are also very light, which can be ideal for people who move a lot, for example, students. 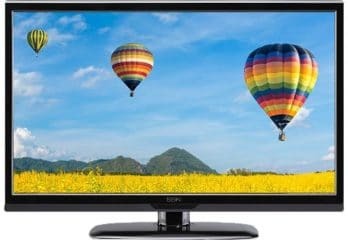 The major reason why you may be looking for these kinds of TV is that they are light, take up little space and are cheap. If you have either of these reasons, you are in safe hands with either of the TVs on this list.